This form of Dice Betting is far different from the Craps game that you know how to play. In a normal Craps game, you can choose different betting styles and options for you to win Bitcoin. In Dice Betting, this is different from your conventional six sided dice games that you grew up with. 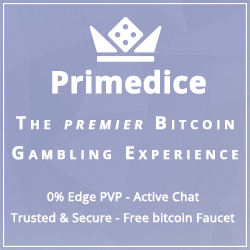 Some of the Dice Betting websites today that exists, like websites such as Primedice, Rollin, and SatoshiDICE have this type of dice game. The difference of this Dice game compared to the other ones that usually are presented to you when you visit online casinos would be the automated difference. In a Dice Betting game, you are able to automate your rolls for as long as you want them to. People usually choose this kind of Dice betting as this is easier to understand compared to the conventional Craps table. Please be advised that different websites have different dice game layouts. For Dice Betting, you would usually see “ROLL OVER” and “ROLL UNDER” betting options. This means that you will be either rolling over 50 or below 50. Since different websites have different layouts, some would let you change the betting number which in the example explained earlier would be 50. Some websites would let you change that to whatever number you want to and bet on the odds that you think is profitable and easy on your luck. When it comes to gambling, luck is always a factor. Now depending on the website, you would also get an extra feature called “Auto Play.” This would allow you to create an auto bet macro in which you can just let it run if you think you have found the perfect sequence for you to profit from the game. House deposit fees and withdrawal fees would differ from one website to another. In addition, some websites would have the “Free Play” option and others would not. 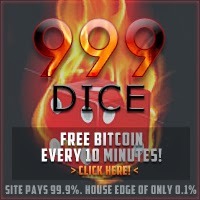 Before you play Dice Betting on any website you choose, please make sure that you understand their house rules before playing for real Bitcoins.